Whether you are starting a new company to exploit your invention or you want to protect a trademark for a business that has been around for decades, we will take all the necessary steps to secure your intellectual property. Helping clients with intellectual property concerns and solutions, and providing long-term intellectual property counsel is what we do. We also serve as co-counsel to law firms involved in patent and trademark litigation. Completely dedicated to patent and trademark law, we can provide you with the substantive research and arguments you need to deliver the best representation. Our firm focuses on trademarks and patents. We will take a look at your situation, help you determine the kind of protection you need, and take action to make sure you get the protection for your intellectual property that you are entitled to. From tech start-ups to trades, we work with a wide range of businesses and individuals in the greater Boston area. Steve Martin was born in Hempstead, New York. He attended the University of Rhode Island, receiving his Bachelor of Science degree in electronic computer engineering in 1977. Over the next 14 years, Mr. Martin worked as an electrical engineer and engineering manager for several companies, including General Electric, Sperry Flight Systems, GenRad, and Raytheon. While working for General Electric, he attended Syracuse University at night, earning a Master of Science degree in computer engineering in 1982. Mr. Martin entered the Boston University School of Law as a full-time student in 1991, receiving a Juris Doctor degree in 1994. After graduation, he became an associate at the law firm of Morse, Altman, Dacey & Benson. He has been with the firm, now Altman & Martin, since then, becoming a partner in 2000, and the sole proprietor following the retirement of Mr. Altman in 2005. Mr. Martin is admitted to the bars of Massachusetts and New York and is registered to practice before the United States Patent and Trademark Office. 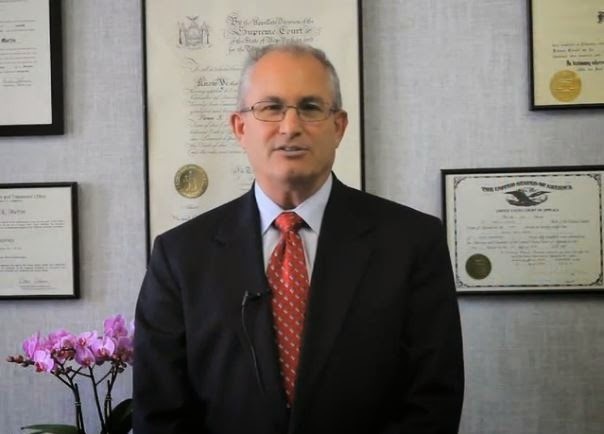 Mr. Martin specializes in patent and trademark prosecution and licensing.